Passionate about art and culture, Adriano Mengotti restored monuments and famous works of art from Romania and supported cultural events such complex Operaestate Veneto. 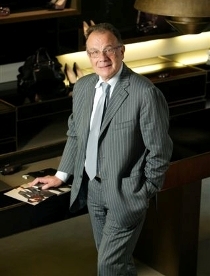 In 2008 he inaugurated the first multibrand luxury Bucharest that bears his name and customers to share his passion for luxury in Romania “Savoie faire” and “Made in Italy”. It is said that success is measured in years I’ve spent in the market. Today we count eight years of a success story that began with my dream of bringing back the tradition of luxury Calea Victoriei.